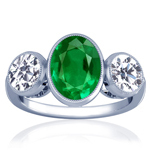 Add flavor to your Emerald ring by accenting it with sidestones. 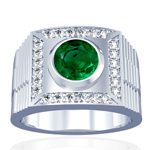 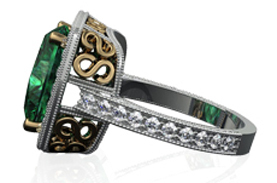 GemsNY delivers the latest emerald antique rings, a must have for your jewelry collection. 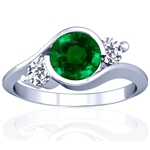 Beautiful emerald rings are the kind of jewelry that never goes out of fashion, and GemsNY offers many different styles of genuine emerald rings at discounted prices. 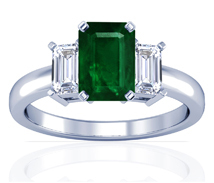 Whether you're looking for the eponymous emerald cut, a modern three-stone setting, or even a men's emerald ring, you're sure to find what you're looking for in GemsNY's huge selection. 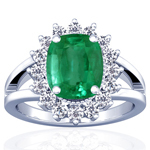 We offer a large collection of preset emerald rings that you can search by price, gemstone shape, setting, center stone carat weight, and other criteria to find the exact ring you've been searching for. 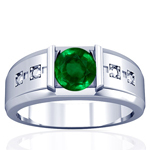 You can also use our "Make Your Own Emerald Ring" tool if you'd like to select your own ideal stone and setting for your emerald ring. 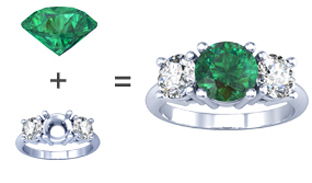 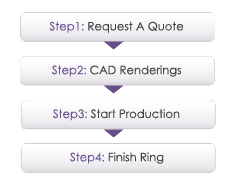 And with our Custom Jewelry service, you can even have a custom emerald ring created based on your own original design. 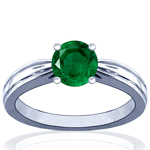 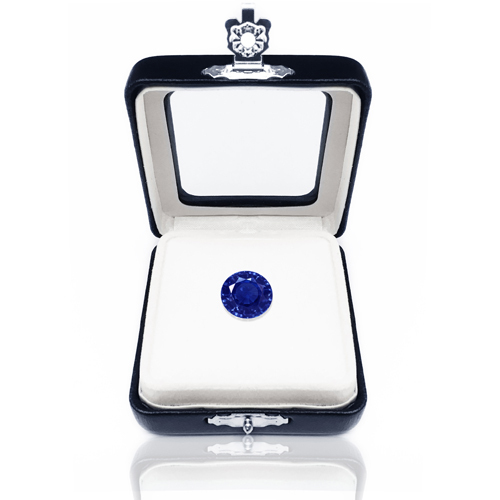 The emeralds used in all our jewelry are genuine and certified authentic, ethically sourced from around the world by our expert gemologists. 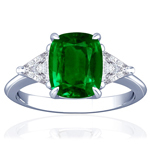 That allows us to craft high quality jewelry using some of the most vibrant emeralds in the world. 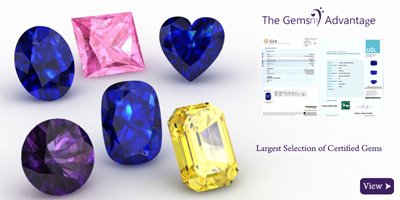 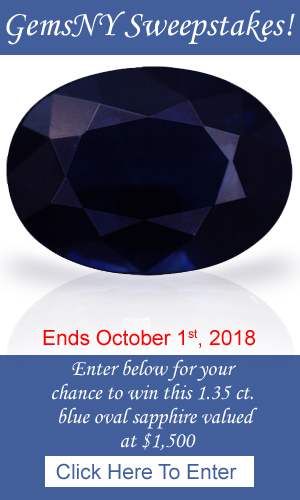 Our fine jewelry is handcrafted in the Diamond District of midtown Manhattan using natural stones -- never synthetic or lab-created -- and every piece of jewelry we sell comes with a free appraisal. 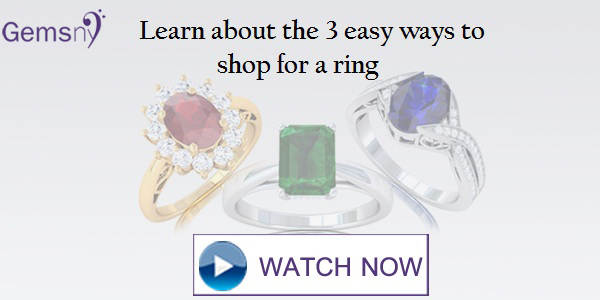 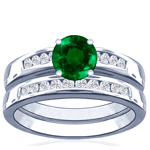 Browse our vast selection of emerald rings and find your favorite today!